Today, Matt welcomes Viktor Devonne, burlesque producer and performer hailing from Jersey City. 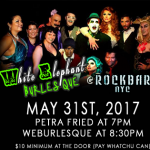 Producer of White Elephant Burlesque, held at Rockbar NYC every Wednesday at 8:30pm, Viktor chats about his roots in burlesque having been born of the Rocky Horror Picture Show. 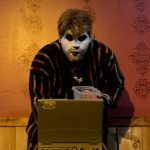 With Matt, he discusses the origins of White Elephant Burlesque, what it’s like to run a weekly show, and what goes into making that a success. He also explains how he produces his performances, where he draws inspiration, and how that affects his craft. 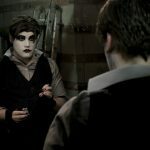 And so, from an update on the burlesque scene to how it’s changing and evolving, here’s presenting Matt Storm and Viktor Devonne.